Item # 318616 Stash Points: 1,995 (?) This is the number of points you get in The Zumiez Stash for purchasing this item. Stash points are redeemable for exclusive rewards only available to Zumiez Stash members. To redeem your points check out the rewards catalog on thestash.zumiez.com. 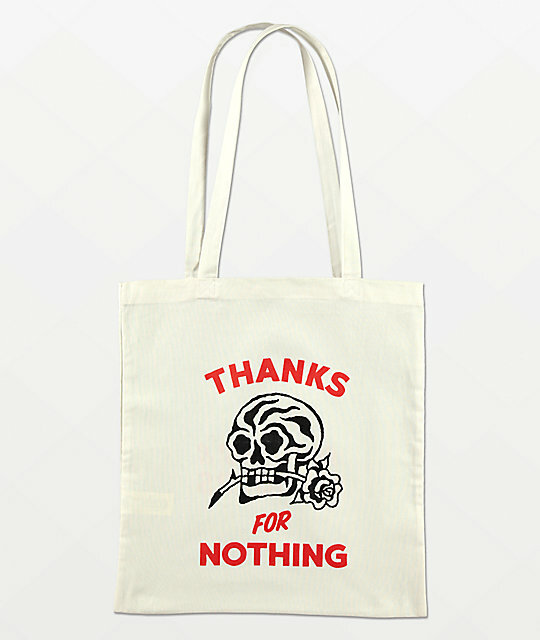 Hit the farmers market or gym carrying the Thanks For Nothing Tote Bag from Swallows & Daggers. This white cotton tote bag features screen-printed graphics of a skull in black, accompanied by red text that reads "Thanks For Nothing." The other side features Swallows & Daggers logo text, creating a functional, one-of-a-kind look. 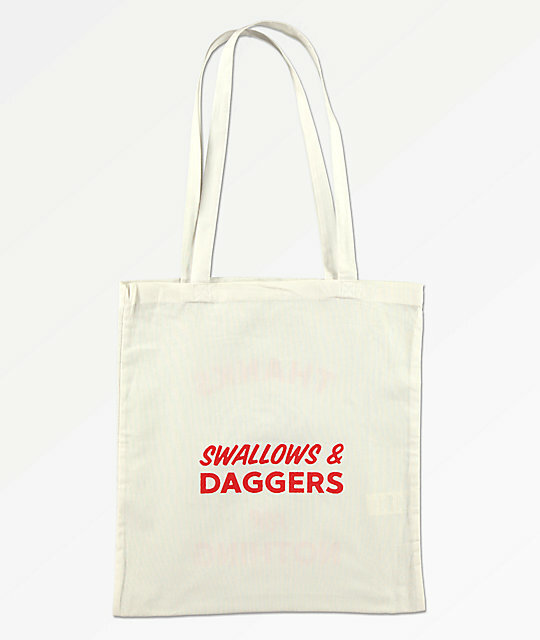 Thanks For Nothing Tote Bag from Swallows & Daggers. Screen-printed graphics on both sides. 16" H x 15" W | 41cm x 38cm.